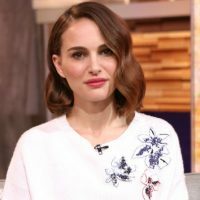 ABC/Fred LeeAfter Jessica Simpson called her out on Instagram Wednesday, Natalie Portman has apologized for her recent comments about the singer in an interview with USA Today. Portman said in the interview that as a teen, she was “confused” by seeing Simpson pose in a bikini while proclaiming she was a virgin. Portman acknowledged that she shouldn’t have named Simpson specifically.